After the quiet triumph of his first solo outing, 2002’s Sleeping On Roads, Neil Halstead apparently decided there was no need to fix what wasn’t broken. Smart guy. Oh! Mighty Engine returns to the land of sublime bedroom pop, all acoustic-based and velvet-vocaled, sincere but never strained, pretty and bittersweet. (See, in particular, “Queen Bee” and the title track, which are beautiful but disheveled—like a really attractive person with bedhead.) As a founder of 1990s shoegazers Slowdive, Halstead was a master of room-filling, soul-searching, eyeliner-smeared sound. Then the bearded Brit threw open the door to the sunlight with his current group, the Byrds-y Mojave 3. On his own, he falls somewhere between those two bands: both speculative and spectacular, but not prepossessing. 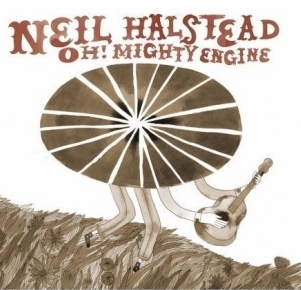 Engine is being released by Jack Johnson’s Brushfire Records, and that name—Brushfire—tells you something about how Halstead’s music works. It’s from modest makings but can generate a big heat.